To receive AAA Discounts, use Discount/CDP/Club Code: 071 when booking. 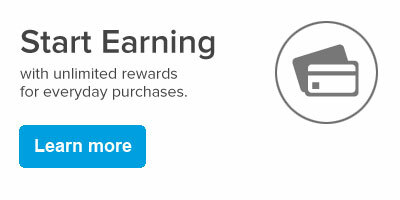 Basic/Classic and Plus members receive 675 bonus activation points after their first Gold rental. Explore the open road or new sights with a reliable Hertz rental. Choose from a variety of cars and options while enjoying the exclusive AAA benefits. Terms and conditions: 15% discount is in addition to the standard AAA discount on car rentals. Base rate includes time and mileage charges only. Taxes, tax reimbursement, age differential charges, fees, surcharges and optional service charges, such as refueling, are not included. Promotion Code # 204184 and AAA CDP must be provided at time of reservation for full offer discounts. Offer valid for a minimum rental of one (1) day for weekend rentals and five (5) days for weekly rentals. Maximum rental of twenty-seven (27) days. This offer is available at participating Hertz locations in the U.S., Canada and Puerto Rico. Age, driver, credit and qualifying rate restrictions for the renting location apply. Advance reservation required. Offer not valid and rate change or additional fees may apply in the event of reservation modification, early/late vehicle return or if not returning vehicle to renting location. Valid on all car classes except Dream cars and Shelby GTH. Offer has no cash value, and may not be used with other discounts, promotions or special rates. Offer valid for vehicle pick-up through 6/30/2018. Subject to availability, blackout periods and additional restrictions. At the time of rental, present your AAA membership card or Hertz/AAA Discount Card for identification.